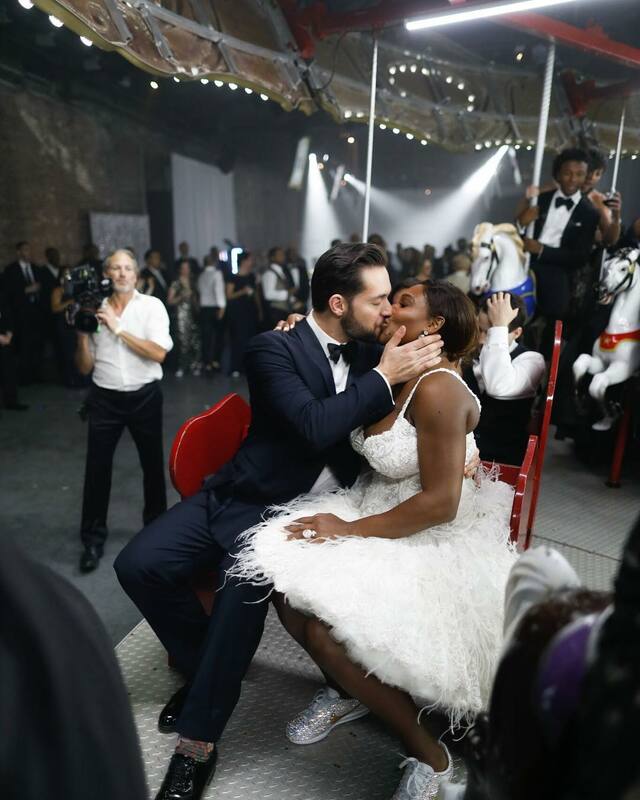 Tennis queen Serena Williams and entrepreneur Alexis Ohanian exchanged 'I DOs' on the 16th of this month at the New Orleans’ Contemporary Art Center, in a lavish $1 million worth star studded and fairy tale wedding ceremony. 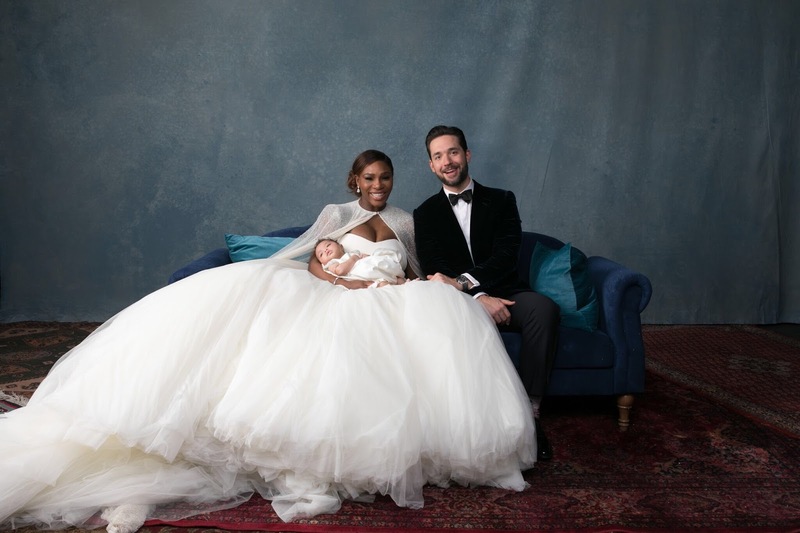 Serena, the bride and the center of attraction in the ceremony, lit up the arena in her £2.6 million dollar Sarah Burton for Alexander McQueen wedding gown, along with a full length fine beaded transparent cape, styled with a massive 14 carat diamond engagement ring, tear drop diamond earrings and a complementing bracelet worth a huge amount of $3.5 million dollars. 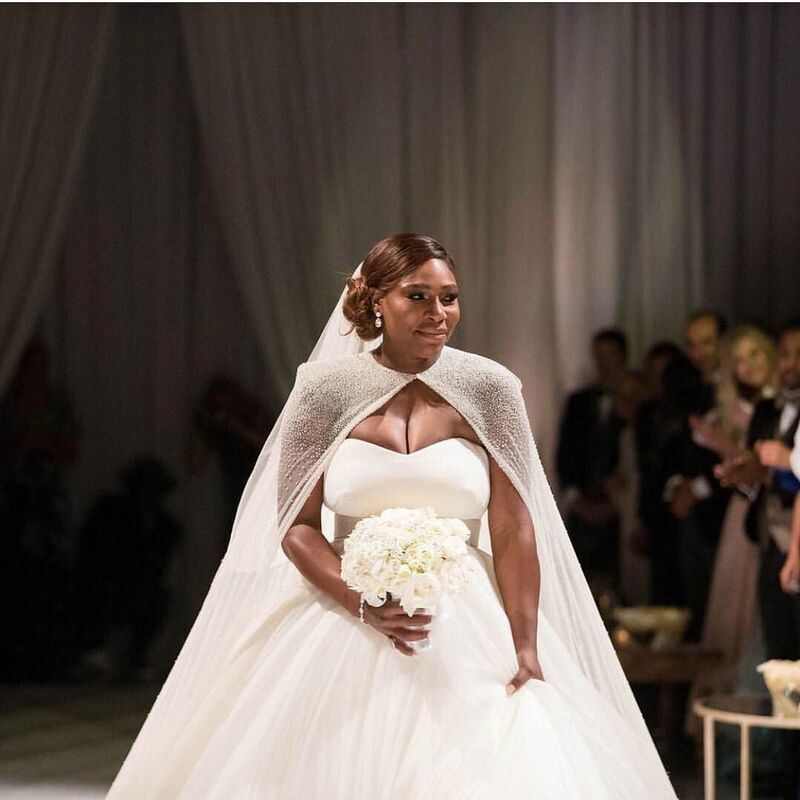 Serena looked stunning in her full flared multilayered gigantic and voluminous tulle skirt that featured a complementing queen like cape that sat perfectly on her shoulders, while flaunting a no makeup natural look by Natasha Gross, and her hair side parted and tied gently into a bun. She flew to London for dress rehearsals and instantaneously fell in love with this spectacular gown. 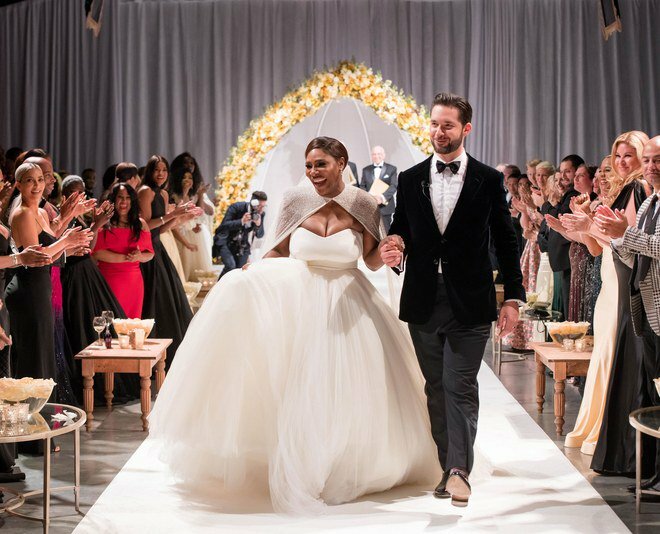 It is not something that Serena had in mind for her most memorable and special day in life, but was completely blown away with the princess gown that Sarah presented her. The strapless top perfectly hugged her bosom, while the wavy and feather like skirt made it look absolutely gorgeous. 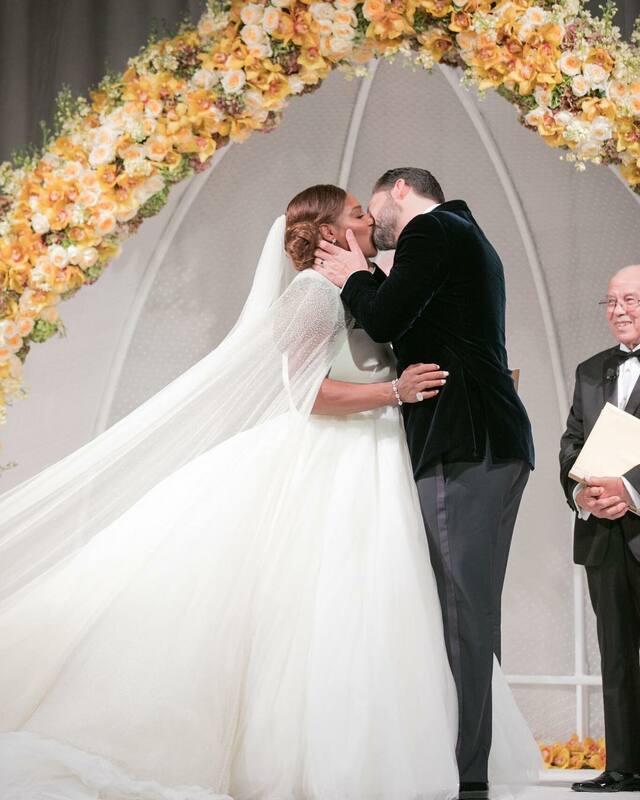 Serena took her guests by surprise in her grand and elegant wedding gown which she kept as secret until she posted pictures on Instagram. 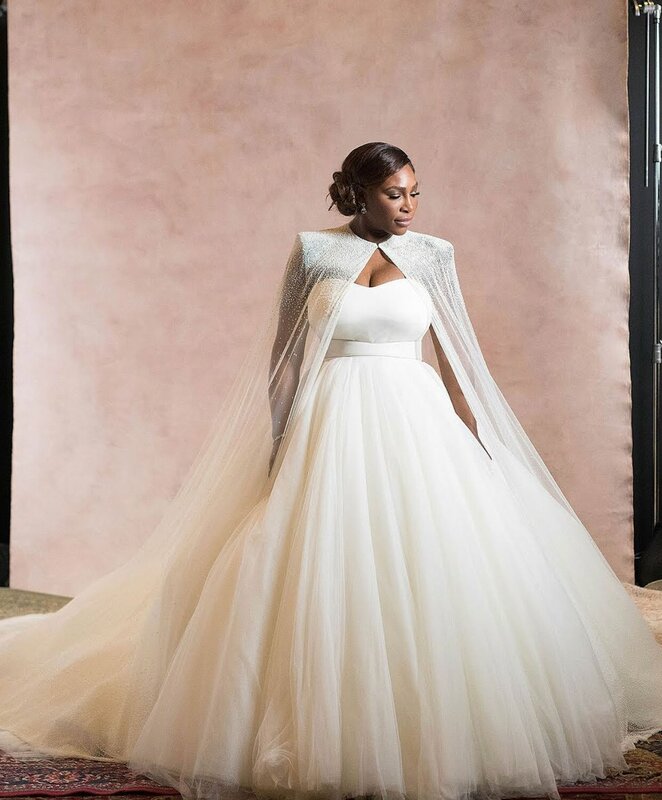 For the fierce sportswoman with many laurels in her bucket, this silhouette made her look as delicate and fabulous, and the fabrics used to design were a visual treat for her family, friends and fans alike. She shimmied into a striking Versace feathery gown for the evening cocktails while she walked down the aisle in bedazzled white nike Cortez sneakers custom made with gold and silver shiny crystals that grabbed all the attention.